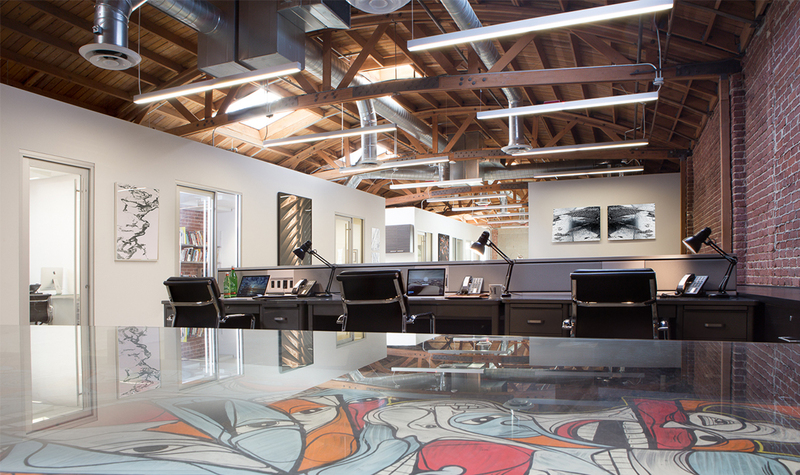 Sunset Gower Studios is certainly famous for its film, television, and music production facilities, but only recently became recognized as a creative office hotspot. 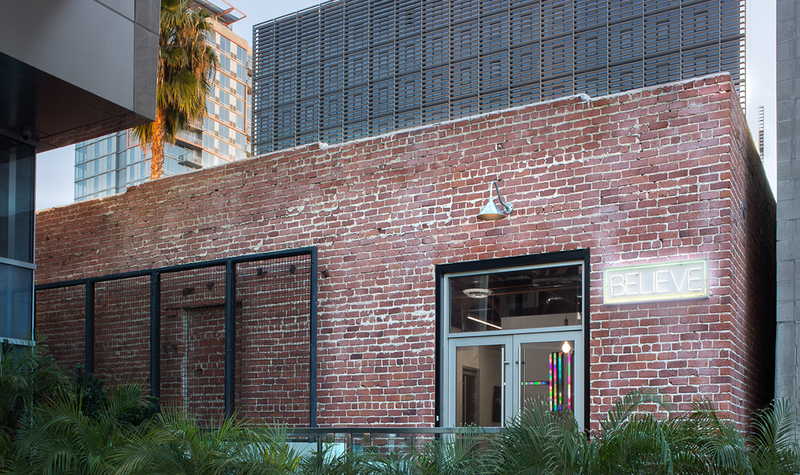 Since Hudson Pacific Properties took over the media campus in 2007, Kamus + Keller has served as Architect of Record for all studio tenant improvements, contemporizing the spaces while maintaining the historic integrity of the many offices and warehouses throughout the lot. One such office was for Believe Media, an innovative visual production company in need of an efficient workplace that reflected their bold brand and culture. The 5,300 SF building was constructed in the 1930s, and required drastic infrastructure upgrades including new roofing, structural retrofitting, and modernized acoustics. The challenging project also faced strict budgetary limitations, coupled with an unexpectedly off-again, on-again schedule. Despite those hurdles, Kamus + Keller achieved the client’s main objectives of resourceful space planning and eclectic design. 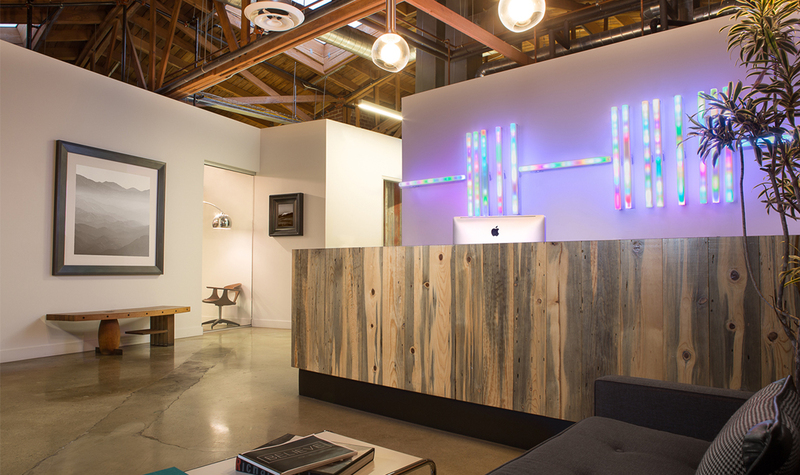 Their existing furniture was used as the basis of creating an efficient space for Believe’s multiple departments. 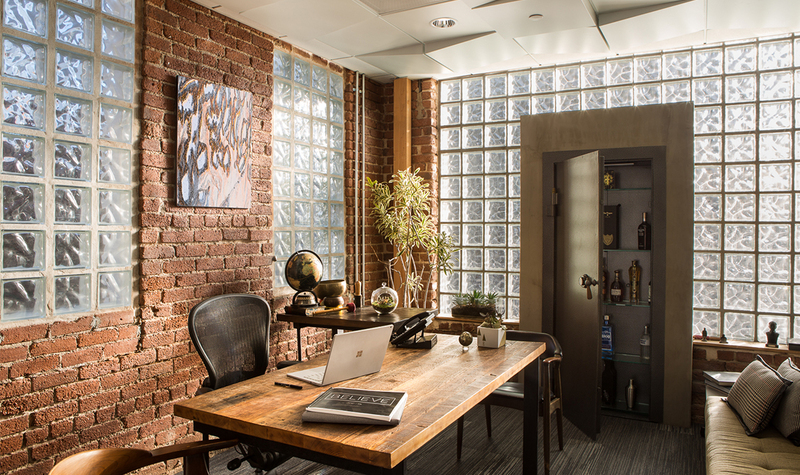 The entryway was relocated to improve flow; the original entrance was turned into an executive office, swapping out the door with a large safe that hides a fully-stocked bar. 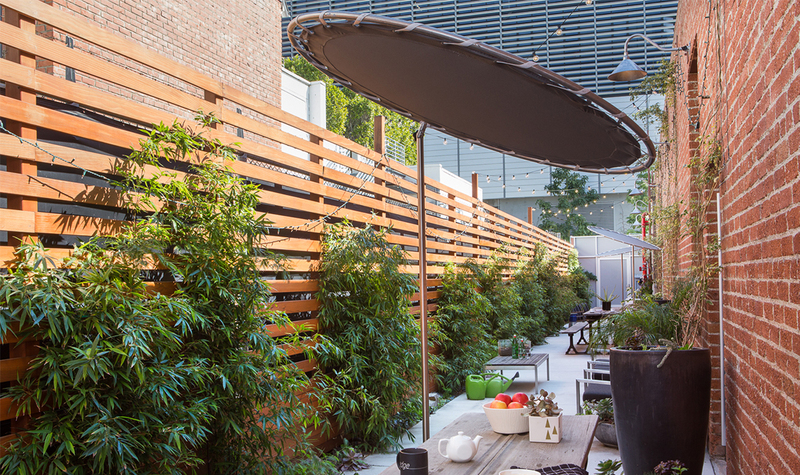 The adjacent alleyway was smartly converted into a relaxing patio, serving as both a break area and collaborative space. Sealed concrete floors, exposed wood trusses, and brick walls anchored the space with an industrial feel, while neon lighting elements, metal acoustic tiles, and striking artwork added a touch of chic unconventionality.